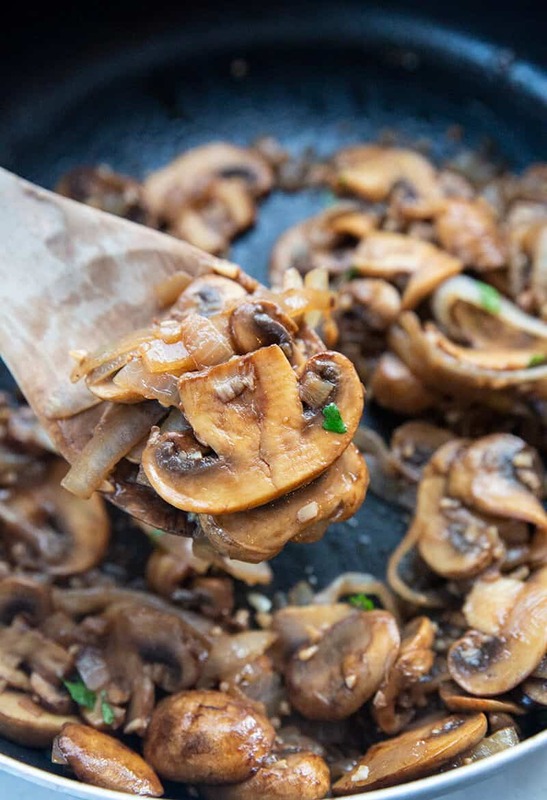 I’ve always had a soft spot for mushrooms, so this quick and easy Garlic Balsamic Sautéed Mushrooms and Onions recipe with a sweet, tangy flavour is definitely one of my favourites! If you’ve never tried this one before, you’re in for a treat! Unless you’re not a mushroom fan, which I can try my best to understand but…. Why?! Heat the olive oil and butter together in a large skillet. Add in the onions and start frying. Fry for 5 minutes to get them started then add in the mushrooms. Fry until the mushrooms have reduced in size and lost their moisture and the onions are softened completely. Add in the garlic and sauté until browned and fragrant. What Should I Serve with Sauteed Mushrooms and Onions? This dish is truly delicious with anything. It’s super versatile as a topping or a side dish, not to mention super tasty! It’s packed full of flavour and the perfect way to add low-calorie taste bud kick to the meal of your choice. 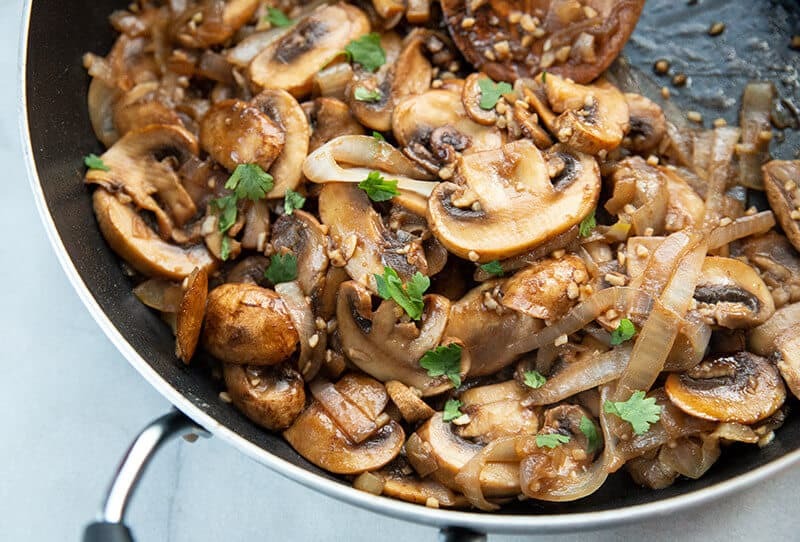 This Garlic Balsamic Sautéed Mushroom and Onions recipe takes just half an hour to whip up and if I’m not using it as a standard side dish I’ll usually make it as a topping for grilled meat, like steak or pork. I also like to make extras so that I can store them in the refrigerator and use them over the following week to add some extra flavour to snacks and veg. This recipe even works as a burger or pizza topping! Do I Need to Smother the Mushrooms in Butter?! If you’re like me, your memories of sauteed mushrooms growing up are off mushrooms literally drenched in butter! And as good as that might taste, there is a healthier alternative! You’ll see that my recipe here includes just 2 tablespoons of butter in combination with olive oil. In fact, you could leave the butter out completely if you wanted (but I personally think that extra bit of flavour is worth it). How Healthy are Sauteed Mushrooms and Onions? My love of mushrooms knows no bounds. Not only are they absolutely delicious, but they also have a long list of health benefits! Mushrooms help to support your immune system because they contain a super powerful antioxidant called selenium. And in addition to that, they’re full of B vitamins, protein, and fiber! Alongside being extremely low in calories; we’re talking around 4 calories per mushroom. So, I know we’ve talked about going easy on the butter, but don’t be afraid of adding it either – because the main ingredients in this dish are already super nutritious and low cal! So there you have it folks, a super yummy and healthy mushroom fix that can be used in any number of ways! Don’t forget to let me know how your Garlic Sautéed Balsamic Mushroom and Onions recipe turns out! 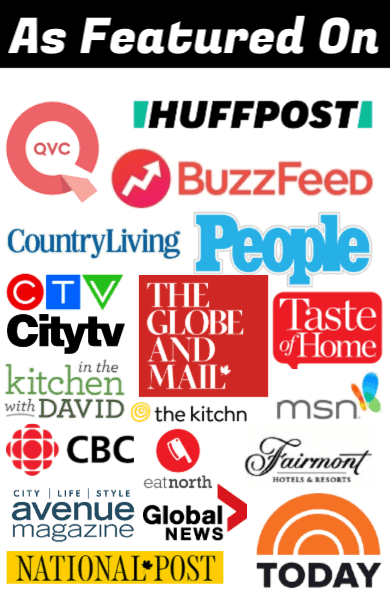 Did you add any extras or variations that I haven’t mentioned here? I’d love to hear about them! Fast & Easy Teriyaki Fried Mushrooms: a family favourite of my Mom’s since the 1980s, this is definitely a dish you don’t want to miss out on trying! Wild Mushroom Risotto: I was a risotto newbie when I tried this one and it still turned out yum! So if you’re in the same boat why not give it a whirl?! Low Carb Creamy Parmesan Garlic Sautéed Mushrooms: perfect for a filling fix on a keto diet! Cheesy Spinach & Egg Stuffed Portobello Mushrooms: ever wondered how to stuff a portobello mushroom?! I’ve got your back. 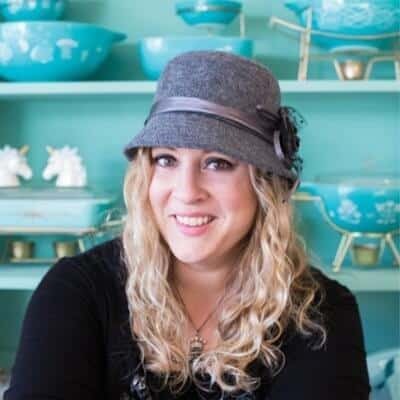 PIN THIS RECIPE to your SIDE DISH RECIPES Boards and Remember to FOLLOW ME ON PINTEREST! Are you a mushroom lover? 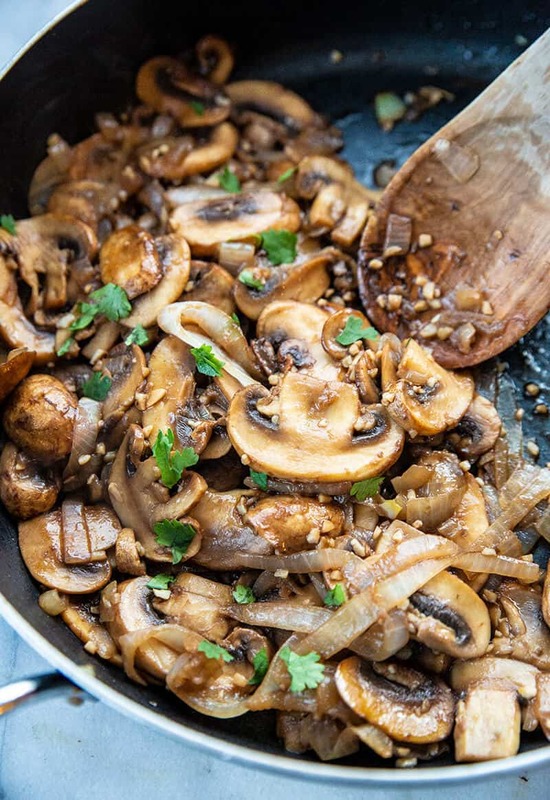 Then try my Garlic Balsamic Sauteed Mushrooms & Onions for a new mushroom side dish! Add in the garlic and saute until browned and fragrant.